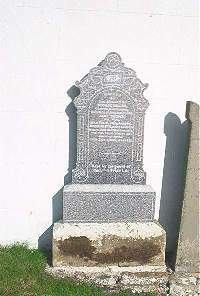 George Miller, cooper of Knockinnon died 15th December 1880 aged 68. Wife Jane Couper died 6th Febuary 1910 aged 95. Eldest daughter Jessie Martin, tenant of Dunbeath Hotel for 5 years, died 4th July 1921 aged 79 wife of John Martin of Penzance.